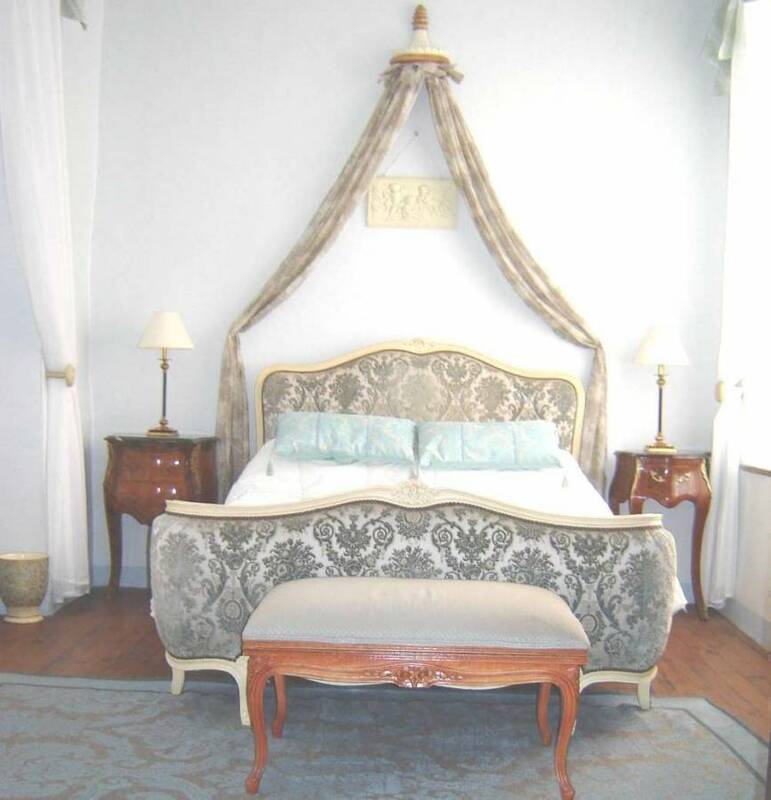 Luxury Bed & Breakfast near Carcassonne Medieval Castle France - La Maison Felice, Relax in style and enjoy exploring quaint villages in the Black Mountains. 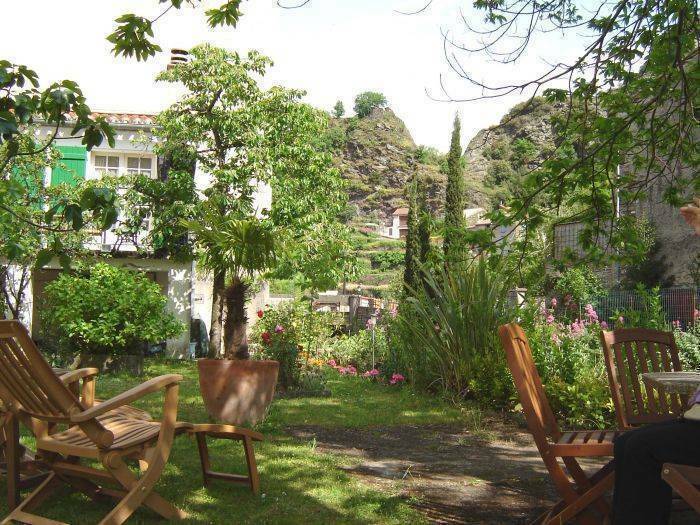 Romantic, charming, comfortable and friendly, La Maison de Felice offering B&B and guesthouse accommodation is located in Mas Cabardes, a quaint and tranquil little village, situated in the heart of the Black Mountains, 25 minutes from Carcassonne Medieval city and airport. La Maison de Felice offers high level amenities, friendly atmosphere and quality service. With our background in the hotel and hospitality industry, we want you to feel totally relaxed in our home, and have ensured every bedroom has an added touch of luxury. Each bedroom is exquisitely furnished to a high standard, each with beautiful period style French beds, creating a romantic atmosphere and one bedroom is under the eaves, with en-suite and amazing views of the mountainside. There are 3 double bedrooms which come with en-suite or private bathroom, and contain TV, DVD, Mini Bar, as well as essentials such as tea and coffee making facilities, hairdryers etc. Guests have their own dining and lounge areas which lead out to the garden, where guests can relax and lounge by the river which runs at the edge of the garden and enjoy the view of the mountainside. The house is perfectly located for holidays in the Languedoc. This tranquil retreat is ideal for activities such as cycling, hiking and rock climbing and for visiting the many historic attractions the region has to offer, or simply relaxing and taking in the mountain air. Table d'hote evening meal available on request. 24 hours notice required. Le Suite de Felice Fleur designed for families and friends is situated on the top floor of the house and is self contained with 2 double bedrooms and adjoining lounge containing a single day bed. Transfer service to Carcassonne airport available on request. A traditional semi-detached maison de village. Located in the heart of the small tranquil village of Mas Cabardes, 25 minutes north of Carcassonne. Trout fishing in the river Orbiel, from our garden. 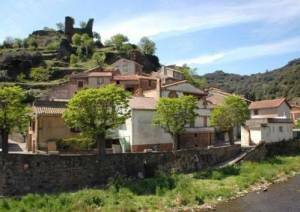 Guest House and Chambre d'Hote - Self catering Cottage and Gite rental available also. 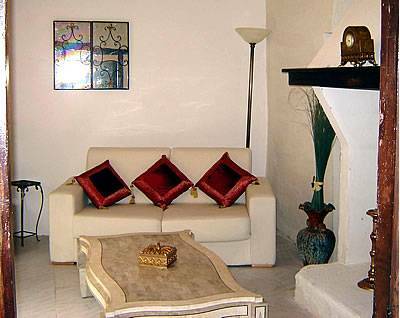 The house benefits from all the facilities, associated with quality accommodation in France. 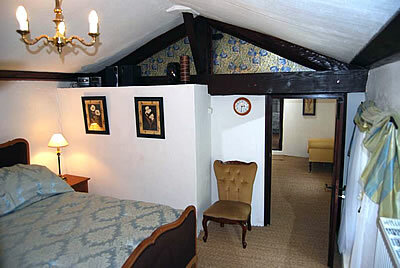 The double bedrooms overall comfortably sleep 6 - 7 people. Each guest bedroom is fully equipped with: TV (local chanels); Stereo; Mini-bar; Tea and coffee mking facilities; safes and little essentials such as hairdryers and irons. Rooms are cleaned daily. Washing machine facilities are available on request. The garden is shared between our guest and us, the owners. We aim to keep the garden as tranquil and as relaxing as possible for your use. A barbecue and grden furniture are also provided for guest use. There is ample car parking space in the village and we are happy to provide secure storage space for cycles. Guests are welcome to Trout fish in the river Orbiel which runs alongside the garden, and information is readily available for golf equipment, boat and cycle hire. We are happy to equipe you at a nominal rate with picnic hampers during your stay, given prior notification, and guided tours are available on request. 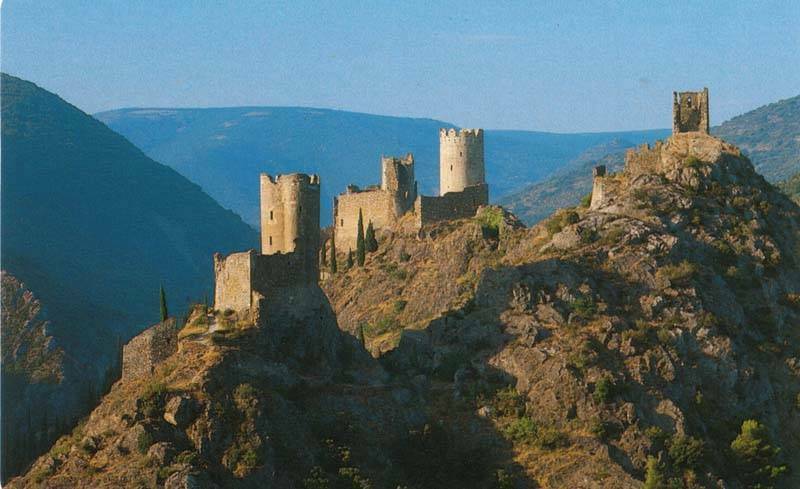 La Maison de Felice is perfectly located in the heart of the Montagne Noir, and just a few minutes away from the magnificent 4 Cathar Castles of Lastours - with spectacular "Son et Lumiere" (sound and light shows). The Cascade de Cupservies (the longest drop waterfall in Europe), Lakes Pradelles and Montagne for mountain bathing and boating, The grotto de Limousis and the amazing underground safari of the Gouffre Geant de Cabrespine; a grotto deeper than the Eiffel Tower, with sound and light shows. Just 25 minutes drive is the magnificent Medieval Castle and Cite of Carcassonne a UNESCO world heritage site along with the beautiful Canal du Midi. The city offers restaurants, shopping, bars along with pleasant walks and beautiful parks. The Mediterranean coast is just under 1 hour's drive, and there are good train services to Toulouse and Montpellier. Table d'Hote service available at 27 euros per person. Please see booking conditions on the website. Mas Cabardes is on the D101, in the heart of the Black Mountain, north of Carcassonne. From Carcassonne airport follow signs to Mazamet, towards the D118 route. Approaching a series of roundabouts head straight at each one following signs for Mazamet, until the final roundabout, clearly signposted Mas Cabardes D101 (Ferrand Warehouse is to your left as you drive up the D101) The journey up the Montagne to Mas Cabardes is a straight and direct route. On entering the village of Mas Cabardes, drive straight through the village until you have passed the Epicerie on your right. Just before the little bridge, turn right, signposted Mazamet D118 again. Immediately after you turn right, La Maison de Felice is the 2nd building on the left. Taxis are readily available at the airport, and we can arrange one to collect you, or you can request our transfer service. The nearest major train station is in Toulouse, a TGV (Train Grande Vitesse) goes regularly from Paris to Toulouse. Trains are available from Toulouse to Carcassonne every 30 minutes.